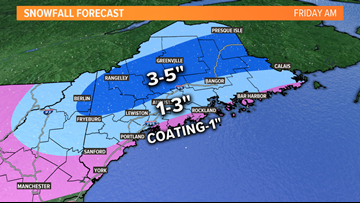 The timing won't be good for a few inches of snow Thursday morning. 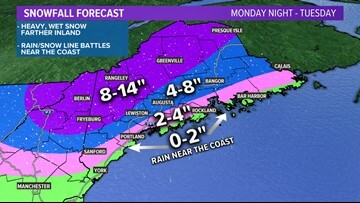 Some of the state is starting 2019 without power, thanks to heavy, wet snow. 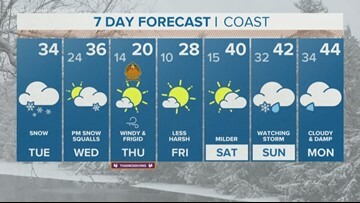 Snow, a mix and rain will move in while many people are out celebrating New Year's Eve. 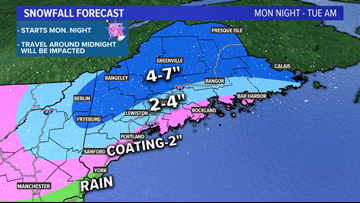 The snow and mix will start Monday night, while many people are out celebrating New Year's Eve. 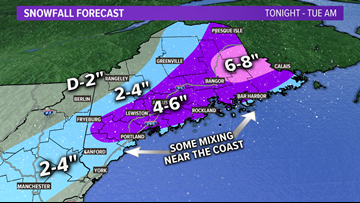 It's not a big storm, but it's going to start at a bad time for the morning commute. Morning commute will be impacted. 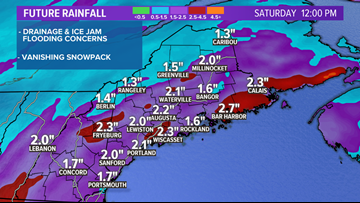 The combination of heavy rain and mild air will melt a lot of the snow. It's not a big storm, but it's hitting at the wrong time. 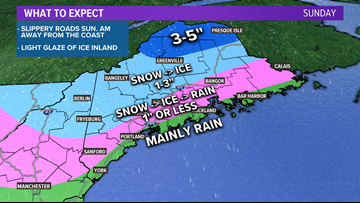 Much like last Sunday morning, a mix of rain, ice and snow will cause slippery travel this Sunday morning. 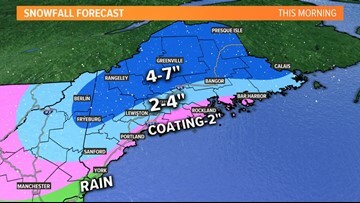 Another storm is on the way and the rain-snow line will come into play near the coast. The winter weather pattern is rolling on. 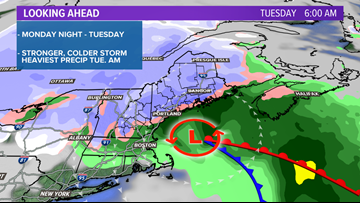 As Tuesday's snow ends, our next weather maker will be an arctic front arriving Wednesday afternoon. 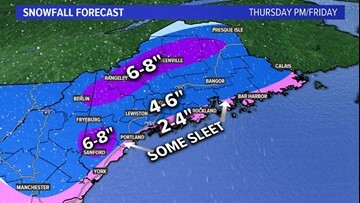 Another round of snow on Tuesday is looking like a bigger deal, in more of the state. 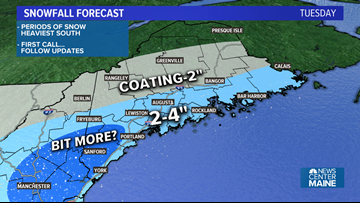 Snow will start late Thursday night and continue through Friday. It'll be messy for the Friday morning commute for most of the state. 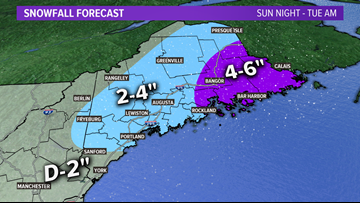 Totals could get adjusted up tomorrow.